Having personalized cell phone ringtones is a way to show off your sparkling personality to those around you. There are many great resources on the Internet for getting new ringtones, and the process for downloading ringtones is very easy to understand. Most ringtones acquired from a third-party resource are done through a website though some may be downloaded via a mobile app. 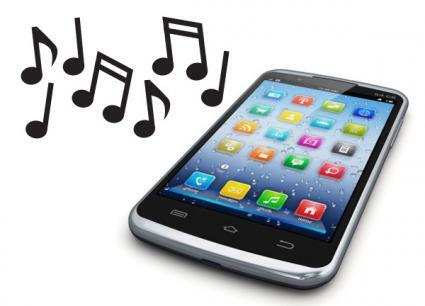 The best things in life can be free - that is often the case with ringtones for mobile phones. Some carriers and phone brands offer no-cost ringtones, and there are also places where you can find free ringtones organized by special interest. Free Tracfone Ringtones: It is easy to download free ringtones from Tracfone's website directly, but there can be some complications when seeking free ringtones for your Tracfone from other sources. Free Verizon Ringtones: Discover several great websites where you can find free ringtones designed specifically for Verizon phones. Free Samsung Ringtones: Learn about several resources where you can download cool ringtones for Samsung devices at no cost. Free Nokia Ringtones: Discover several sites that offer a range of free tones for Nokia phones, including those in WAV, MIDI and MP3 format. You can also learn to make your own ringtones for your Nokia phone. Free Composer Ringtones for Nokia: Using the Composer app, you can create your own ringtones for free on a Nokia phone with these instructions. Free iPhone Ringtones: Get information about where to find free ringtones for your iPhone online, as well as how to create custom ringtones in iTunes. Free Motorola Ringtones: From popular songs to strange animal noises, there are several sites where you can find free ringtones for Motorola mobile phones. Free Kyocera Ringtones: Find sources for your Kyocera phone with both free and low-cost ringtones and steps on how to download them to your phone. Free Sidekick Ringtones: If you have a Sidekick® phone through T-Mobile, you can find ringtones made just for your phone for free. Free Elvis Presley Ringtones: Whether you're a hound dog or you're just looking for a ringtone to love you tender, discover places to download ringtones featuring the King's greatest hits. Free Funny Ringtones: A ringtone can also be a source of a good laugh, especially if it's the sound of a person laughing or another hilarious sound! Discover several online resources for all sorts of funny ringtones. Free Video Game Ringtones: Get information about VGMusic, a website with over 25,000 unique video game music files that are perfect for gaming-related ringtones. Free Polyphonic Ringtones: If you prefer the sound on a polyphonic tone, you can find sources for free downloads with unique categories such as Arabic, Balochi and Pushto ringtones. Many cell phones come pre-installed with applications where users can download tones directly from their service provider. In fact, some monthly plans include an option for an allotment of ringtone downloads. There are also several outside sources for buying new ringtones. 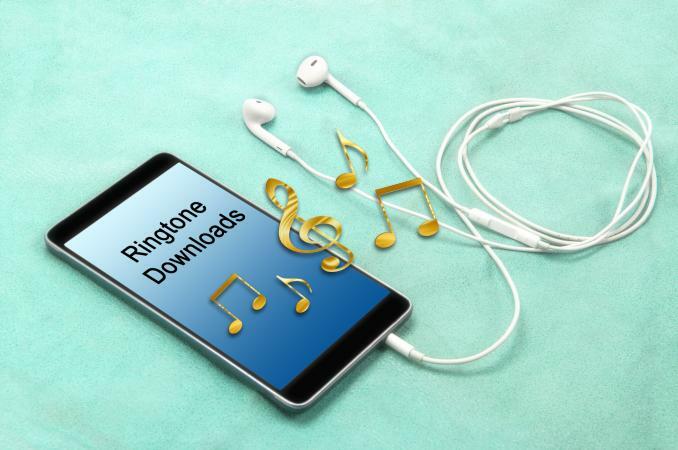 Ringophone offers a huge variety of ringtones, including realtones (ringtones featuring real music). They have a wide variety of MP3 files that range from rap and hip hop to 80s and oldies. There are even ringtones related to sports, celebrities, and video games. The site's previews can be quite useful. Tuunes is an iPhone app that has ringtones featuring everything from movie soundtracks to recorded phrases from social media celebrities. Genres include a wide range of music types such as world music, reggae, jazz, hip hop, electronic beats, children's music, and more. Zedge offers ringtones for both Android and iPhones in almost every conceivable category. From music genres to lines from popular movies and TV shows to video game themes and more, Zedge has something for everyone. You can also personalize your phone further with their wallpapers and notification tones. Christmas Ringtones: Festive ringtones can be found through a variety of apps for Google Android and for the Apple iPhone, as well as through useful websites for other cell phones. Bruce Springsteen Ringtones: Here, you'll find three great websites to get you started with a range of MP3 ringtones featuring the best songs by Bruce Springsteen. Final Fantasy Ringtones: The top five websites for downloading ringtones from the Final Fantasy 7 video game are described here. The Nightmare Before Christmas Ringtones: Discover three websites where you can purchase downloadable ringtones from this popular Tim Burton movie. Spooky Ringtones: If you love the sound of the creepy and macabre on your phone, you'll find several sources for free and paid ringtones here. Starsplash Ringtones: Fans of the Euro Trance genre of music can use this resource to find paid versions of Starsplash ringtones in MP3 format. Can't decide which ringtone to use for your cell phone? Many mobile phones offer the option of using different ringtones for different contacts or contact groups, so it can be very easy to have multiple ringtones all at the same time. With so many ringtone choices at your fingertips, you can personalize your phone to your heart's delight.